Gill is working with King’s College London / Maudsley BRC to create visual material to inform patients, clinical trial participants and the general public about executive function, the effect of aging on the brain, the role of white matter pathways in the human brain and how DTI (diffusion tensor imaging) visualises these pathways. The work includes creating illustrations and designing documents to be used by clinicians. More details regarding this work will be posted on Gill’s own website. Meeting between Gill, Mattia and others to discuss further collaboration / research. For a review of some of the issues raised during the meeting, specifically how best to demonstrate the adaptability of the visual elements, see this blog post. Meeting between Gill and Barbara to get feedback on the use of the visual elements for the dopamine synthesis figure, provided in July. For a review of the meeting, see this blog post. Meeting between Gill and Barbara to go through the steps required to create and edit a figure showing dopamine synthesis, by using the supplied visual elements. For a review of the meeting, see this blog post. Meeting between Gill, Yannis, Daniel and Robert to go through the steps required to create and edit a figure showing intranasal delivery of oxytocin, by using the supplied visual elements. For a review of the meeting, see this blog post. Meeting between Gill and Yannis to discuss the conceptual figure for an upcoming journal article. For a review of the meeting, see this blog post. Meeting between Gill, Mattia and Barbara to discuss the conceptual figure for an upcoming journal article. For a review of the meeting, see this blog post. Meeting between Gill and Pierluigi to discuss a conceptual figure for an upcoming journal article. For a review of the issues raised at the meeting, see this blog post. Meeting between Gill and Nisha to discuss the construction of a conceptual figure from the visual elements. For a review of the meeting, see this blog post. 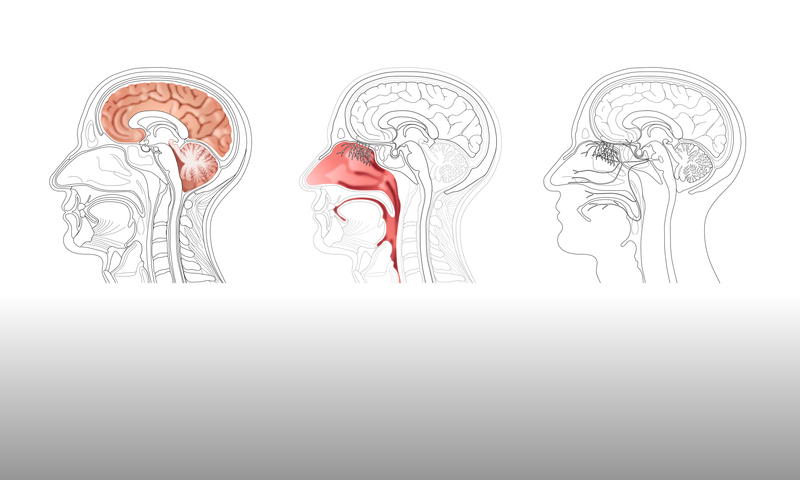 The online image gallery has been updated, to include all of the images created for Nisha’s methods paper, together with additional olfactory and trigeminal nerve images that were created for the CME opening event. Gill has updated the online image gallery to make clear that the high-resolution image files are licensed under a Creative Commons Attribution-Non-Commercial license, and so can be made available for non-commercial use outside of the Centre for Neuroimaging Sciences. Meeting between Gill and Nisha to discuss progress on the conceptual figures for Nisha’s upcoming methods paper. For a summary of the meeting, see this blog post. Meeting between Gill and Nisha to discuss the conceptual figures in Nisha’s upcoming methods paper. For a brief summary of the meeting, see this blog post. Gill, Mattia and Nisha showed the work of the collaboration at the opening of the new Centre for Medical Engineering at King’s. For a review of the event, see this blog post. Workshop 2 – A hands-on guide to using Adobe Illustrator. For a review of the workshop, see this webpage. Workshop 1 – Proposing a new way of producing conceptual figures. For a review of the workshop, see this webpage. Meetings between Yannis, Nisha, Mattia and Gill, to discuss both the conceptual figures to be used in upcoming papers and the upcoming workshops. For a brief summary of the meetings, see this blog post. The CNS image gallery has now been incorporated into the main website, with the portfolios of images accessible from the Image Gallery webpage. The dates, times and content of the pilot workshops have been finalised and Gill has updated the Workshops webpages. Following the meeting with Mattia and Yannis, Gill has updated the Workshops webpages. Meeting between Gill, Mattia and Yannis, to discuss the progress of the collaboration. See this blog post for more details. A separate, portfolio-style website has been created, to act as an image gallery. Also, see this blog post for more details. Following the meeting with Mattia and Yannis, Gill created an initial proposal for two pilot workshops. See the Workshops webpage for more details. Meeting between Gill, Mattia and Yannis to discuss the next steps for the collaboration. See this blog post for more details. An Instagram account is now live @neurographical. Currently, the majority of the posted images are re-drawn details from existing conceptual figures. These details are all representations of visual elements that are relevant to Yannis and Nisha’s research areas. In due course, more examples of original figures, created during the collaboration, will also be posted. Gill attended a meeting at the Neuroimaging department, as Nisha presented some preliminary results. See this blog post for more details. Meeting between Gill and Yannis to discuss his research and the conceptual figures that are used to visually communicate that work. See this blog post for more details. Meeting between Gill and Nisha to discuss Nisha’s research and the type of conceptual figures that are used to visually communicate that work. See this blog post for more details. First meeting of the team to discuss what they would like to achieve from the collaboration. Read about the outcome on The Collaboration page.